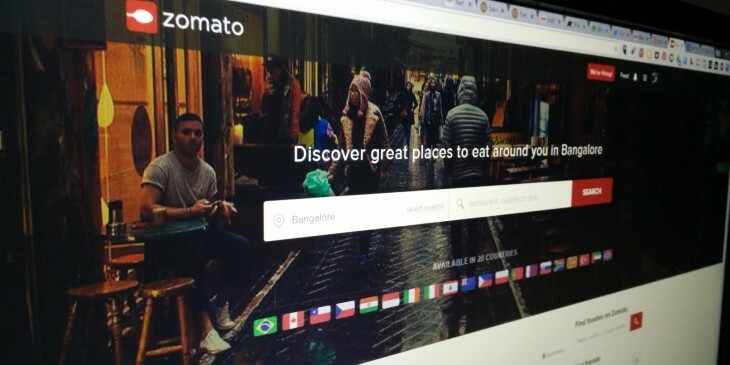 Indian restaurant listings and reviews platform Zomato has acquired data firm MaplePOS today for an undisclosed sum, reports Reuters. The company will spin off its new buy into a customer information database, and expand its own services to offer online table reservations and mobile bill payment. MaplePOS, which is now called Zomato Base, will also enable the parent company to offer restaurants a range of services including cloud-based menu, inventory and recipe management, CRM, analytics, electronic receipts any payment gateway integration. Zomato, which launched in India in 2008, is now present in 20 countries including the US, UK, Canada, Ireland and Italy, and lists nearly 400,000 restaurants across these markets. It’s also getting into food delivery services in India. The company is launching a pilot program today and will open it up to users across the country by next week. The way forward for Zomato isn’t easy. While the service is by far the most popular for restaurant listing and reviews in India, a number of rivals already run delivery services and accept online payments. Meanwhile, it has competitors like Zagat and OpenTable to deal with in North America. That being said, Zomato isn’t entering the battlefield without arms. The company raised $60 million last November and $50 million just yesterday, bringing its valuation to more than $660 million. Zomato is already well on its way to conquering India’s online restaurant services; it’ll be interesting to see if it can topple established players in other markets too. We’ve contacted Zomato to find out more and will update this post when we hear back.